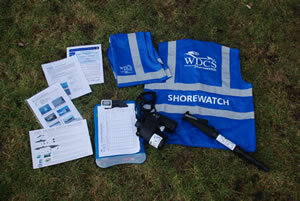 WDC provides shared equipment for volunteers at every site. 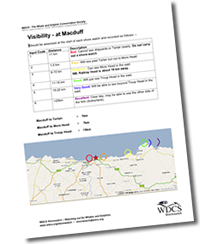 The same set of equipment is used by every Shorewatcher to minimise variation in the data collected and even out the effort between individual observers. 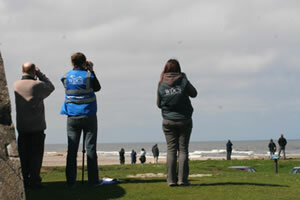 Asking every volunteer to watch in the same way, using the same equipment enables Shorewatch to compare data collected across different observers and sites. 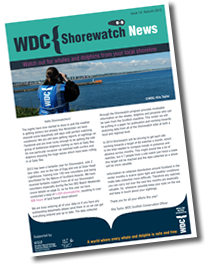 Wearing the high-visibility vest lets people know that you are performing a specific task; members of the public will feel more comfortable to approach you and ask questions; it brands the programme and helps promote WDC Shorewatch and generate more volunteers. In fine weather it may also be worthwhile taking a camera/video camera to get wildlife images after the shore-watch has finished.